With the UK heating up my legs need to start coming out so they can get a tiny bit of tan. 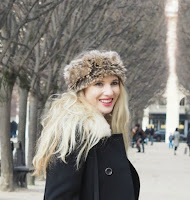 There is nothing worse though than legs that look like they have been hidden under tights and jeans for the past 6 months so its important to have a routine to ensure they are smooth and have a hint of colour. 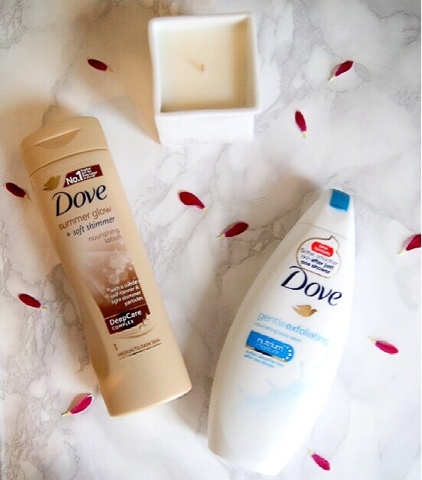 A great leg exfoliator is gentle body wash from Dove it's great and gets rid of dead skin with exfoliating sand beads, which smooth away the dead skin it also strengthens your legs moisture barrier. You can purchase this in any supermarket or local drugstore £2.55, 250ml. After using the exfoliating body wash, ensure you are completely dry before embarking on this next products the UK's number 1 gradual tanner. 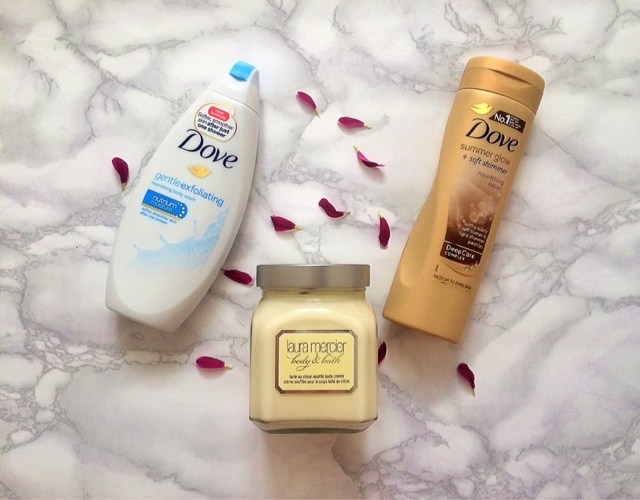 Dove's summer glow nourishing lotion will make sure your skin is supple with an even coverage of gradual tanner as if you buy the shimmer version you can be sparkly all day long. You can buy this again at any supermarket or local drugstore for £5.25, 250ml. 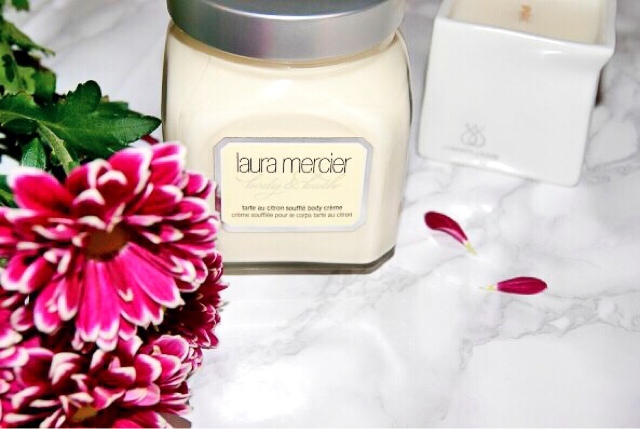 Laura Mercier have always produced beautiful moisturisers, I am not what I love more, the thickness and luxurious feel it leaves or the beautiful smell that lingers all day. Recently Laura Mercier have brought out a new scent 'Tarte au Citron' which is is lovely if you like fresh citrus notes. You can buy it here on SALE for £27. Remember it's not just beauty products that help give you smooth skin, it's drinking lots of water which is probably the number one top tip that I can give you.